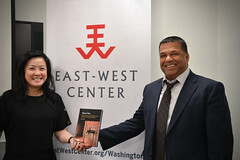 The East-West Center is glad to announce the launch of the new EWC Community at http://www.EastWestCommunity.org/alumni. Membership and access to the community is exclusive and free to EWC Alumni and Associate members only. The purpose of the online community is to help members network and share information with each other. If you were already registered in the previous EWC Online Community, then please check your email for instructions on how to log in. 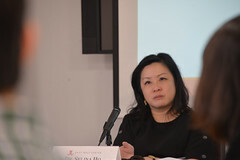 If you are a first-time visitor, you can register at http://www.EastWestCommunity.org/alumni. 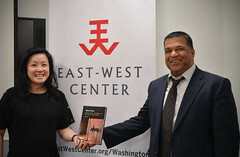 We hope that you will find the EWC Community useful for keeping in touch with friends and colleagues from the East-West Center. If you have any comments or concerns, please email us at alumni@eastwestcenter.org. This entry was posted in General, Student Relations. Bookmark the permalink.